Founded in 1967, Starkey Hearing Technologies is an American manufacturer of hearing aids, based in Eden Prairie, Minnesota. Starkey has introduced a few industry firsts: in-canal hearing aids; custom, fully programmable invisible hearing aids; and one of the first Made for iPhone hearing aids. With their mission, “Alone we can’t do much. Together we can change the world,” Starkey uses research from their sister institute, Starkey Hearing Research Center to design their products. Starkey has been awarded the Silver Edison Award in 2015 for the Halo Made for iPhone hearing aid. Through the Starkey Hearing Foundation, Starkey has donated more than 1 million hearing aids worldwide to developing countries. Read on to learn more about Starkey hearing aids or contact us today to schedule a consultation with our friendly Audiologist. 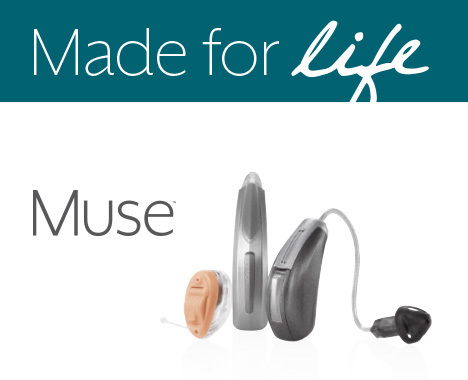 In early 2016, Starkey introduced their latest innovation, the Muse Made for Life hearing aid. Muse is a family of wireless hearing aids designed for complex listening environments, and addresses the call for more clarity and comfort in noise. Muse also offers a special music listening program, as well as improved speech recognition. Powered by the Synergy Processing Platform, Muse hearing aids provide wearers with five times the power of previous Starkey platforms. With algorithms to balance sound and process sound at a high speed, Muse gives wearers an ultra-high definition audio experience that captures multiple sounds in an environment simultaneously. This helps to situate wearers within their environment. Other features from Muse include Acuity Directionality and Speech Shift, which addresses the issue of speech recognition head on. These features clarify and protect speech in challenging noise environments, ensuring that wearers get the best sound quality. With the ability to connect wirelessly to smartphones, the Muse allows wearers to stream their phone calls and FaceTime directly to their hearing aids, for a seamless listening experience. Wireless connection also opens up other sounds for Muse hearing aid wearers. 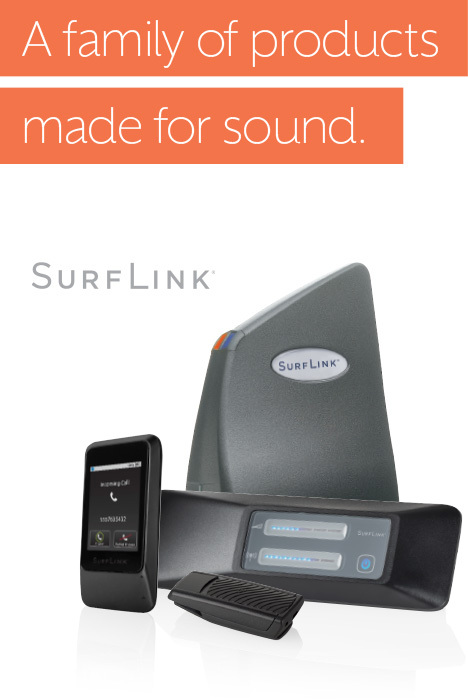 With the SurfLink Mobile 2 app, Muse hearing aid wearers are able to stream music, media, and sounds from home entertainment systems directly to their hearing aids. In traditional hearing aids, music listening features were not a main focus. Muse changes this by increasing the speed between transitions in sonic landscapes to assist the brain in recognizing new sounds. Muse’s music memory function gives wearers a high-definition, refined music listening experience. Muse hearing aids are available in a number of standard and customizable styles: completely-in-canal, in-the-canal, in-the-ear, receiver-in-canal, and behind-the-ear. Muse models include a micro receiver-in-canal style, equipped with a telecoil, and a small, slim mini behind-the-ear model. 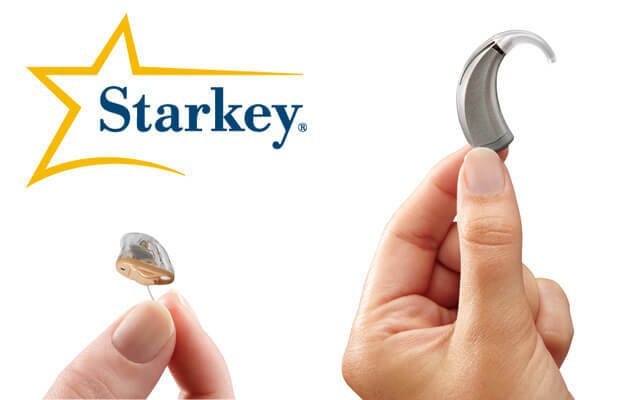 For people who experience single-sided deafness, Starkey offers the Muse CROS. Tinnitus treatment is also available through Multiflex Tinnitus Technology. Starkey’s Halo 2 Made for iPhone hearing aid was awarded the Silver Edison Award in 2015. As one of the world’s first hearing aids designed specifically to connect wearers to their smartphones, Halo 2 offers a world of accessibility. 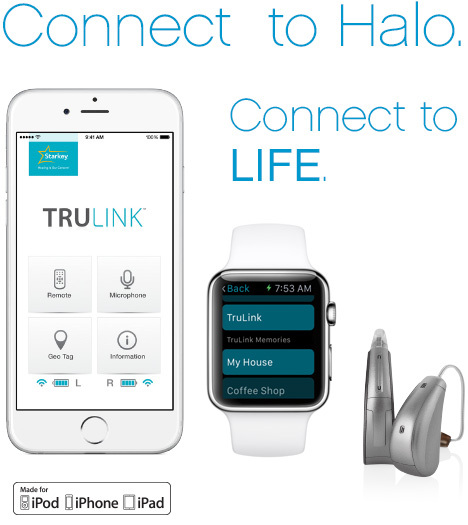 The TruLink Control app allows Halo 2 hearing aid wearers to directly stream phone calls, music, and other media from their iPhones to their aids. TruLink also offers the option to activate the iPhone’s geo-tagging feature, which will archive wearer hearing preferences in different spaces. When wearers return to the same location, the Halo 2 will automatically readjust hearing aid preferences for a truly seamless and natural listening experience. For Halo hearing aid wearers who need an extra boost in challenging noise situations, the iPhone may be used as an assistive listening device. Using the iPhone’s microphone, wearers receive amplified sounds streamed directly to their Halo hearing aids. TruLink gives Halo wearers a degree of discretion, as they may control volumes and program settings directly on their iPhones without having to touch the hearing aids. Halo is designed with feedback reduction, noise reduction, and directional microphones with give wearers the most comfortable listening experience. The Halo hearing aid eliminates whistling and buzzing, and assists wearers to hear comfortably in noisy situations, delivering a pristine quality of sound. Starkey’s Halo Made for iPhone hearing aid is customizable and available in receiver-in-canal (RIC) and behind-the-ear (BTE) styles. Aside from these two best-sellers, Starkey offers Z Series hearing aids. Starkey hearing aids are all fully customizable to wearer preferences. They are available in the following styles: invisible, receiver-in-canal, completely-in-canal, behind-the-ear, and in-the-ear. Coated in HydraShield2, Starkey hearing aids are sturdy and resilient against dust, water, sweat, earwax, and oils. Additionally, Starkey offers invisible in-the-ear amplifiers for new comers to hearing devices.